Public buses, ski shuttles and our City Buses guarantee comfortable, stress-free transportation through all of Gastein Valley year-round. Public buses bring you affordably to the most exciting attractions as well as to the starting points for your many adventures in Gastein Valley. Save yourself the tiring search for parking spaces, taking full advantage of the eco-friendly opportunities provided through local bus services. 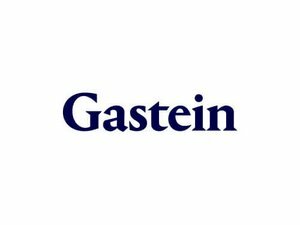 Don't forget your Gastein Card! With this card in hand, you get to travel for just € 1.50 per trip. If you are going to Sportgastein you have to pay a discounted toll fee € 2.10. Are you here in Gastein to focus on your health and you travelled here by train? But aren't sure how you'll make it to your therapy sessions at the Gastein Healing Gallery? Not to worry! The No. 550 bus will get you to your appointment safely and on time, both summer and winter. The parking garage at the famous Bad Gastein waterfall. The Tauernbahn connects the Tauern tunnel Carinthia with the Gasteinertal / Salzburg. Bahnhof Bad Gastein - from it easy reaching the Felsentherme and the Stubnerkogel! The departure schedule in detail you can see here: www.oebb.at/en. The counter at the train station is not staffed! Taxi Gassner ist in der Kurgartenstraße zu finden. Folgendes wird angeboten: Taxiunternehmen, Bahndienststellen. Taxi Gio is located in the town center next to the Souvenir-Shop at Hotel Elisabethpark. With us you can book airport services, railway transfers as well as individual destinations and routes!